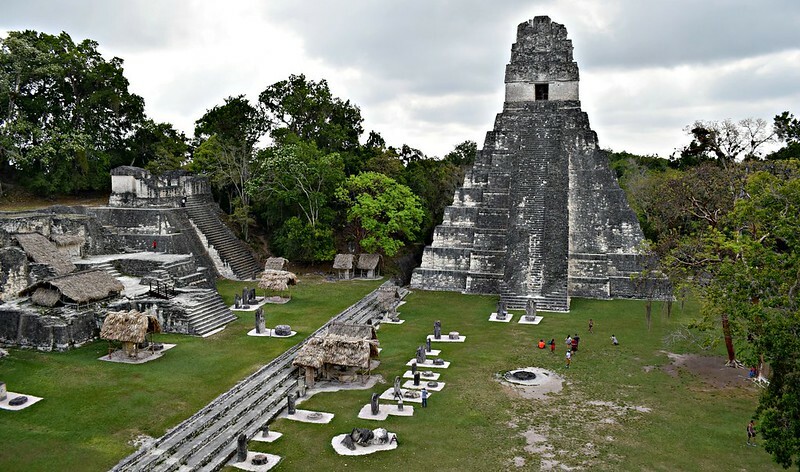 Tikal National Park is one of the few sites in the world that is recognized by UNESCO for both its cultural significance and incredible biodiversity. 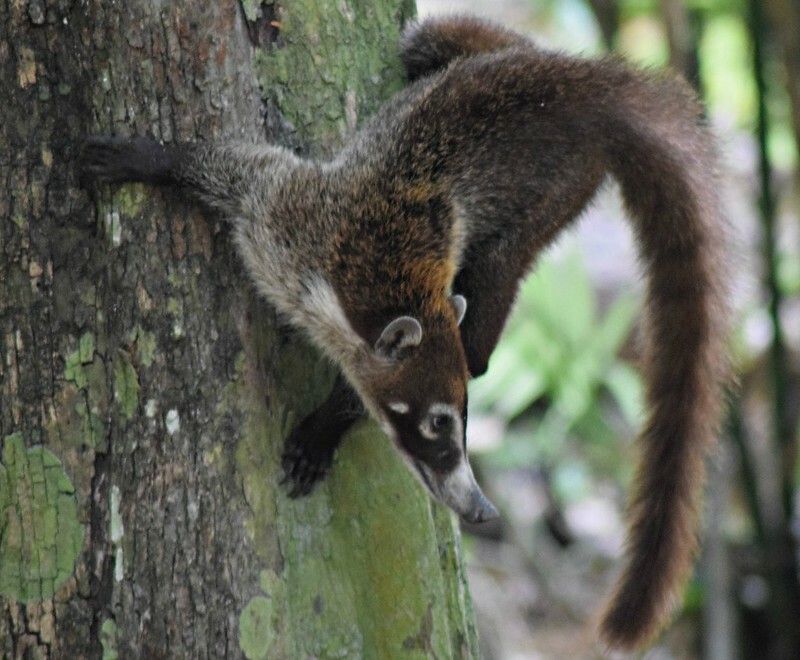 The park is spread out over 140,000 acres, made up of a combination of wetlands, savannas and forest, which is comprised of over 2,000 plant species, and home to over 400 different types of birds and mammals, including monkeys, big cats, and bats. 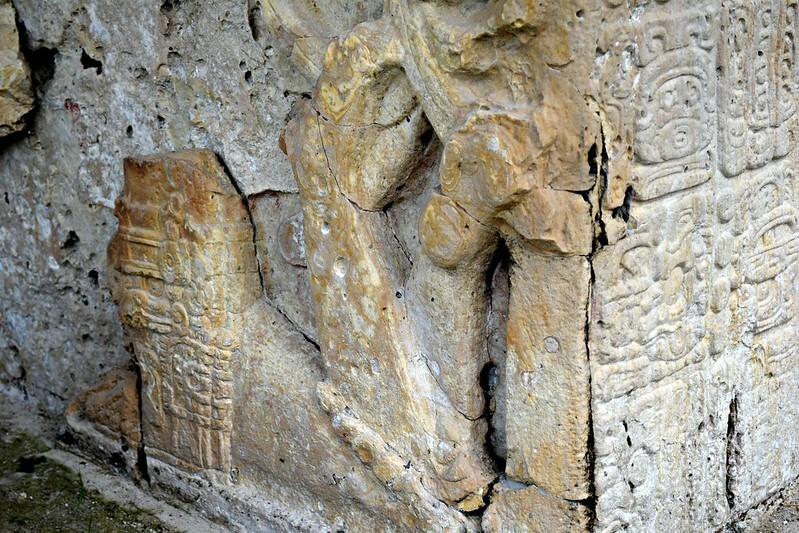 Archaeologists suppose this is most likely why the Mayans chose to settle in Tikal, back in 600 B.C. 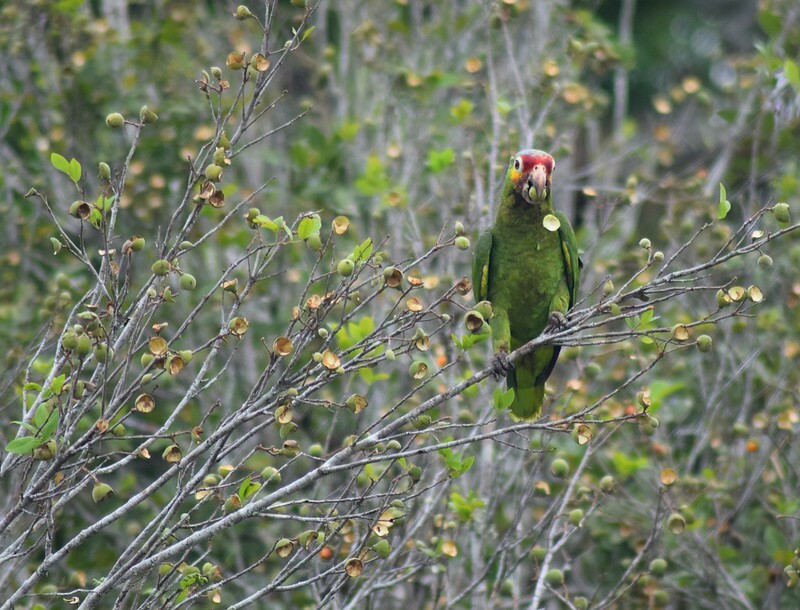 With its abundance of natural resources in these fertile forests, and over 10 months of rainfall each year, their chances of survival were strong. 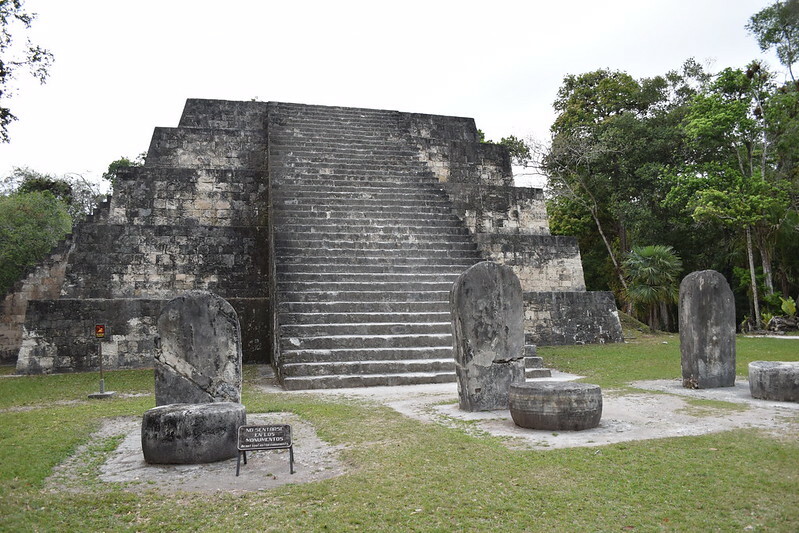 When the Mayans settled here, the began to build flat-topped pyramids, which were used as burial places for their rulers. 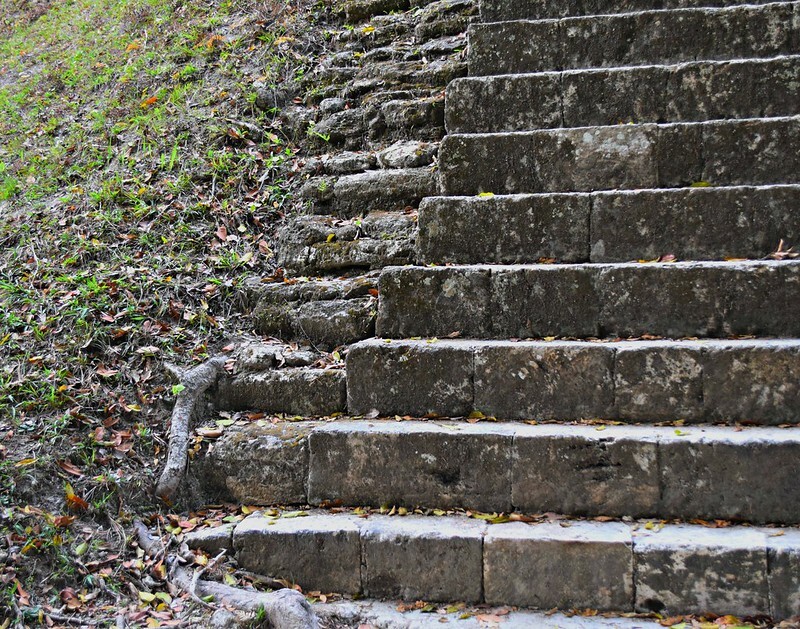 The pyramids typically had 9 levels, bisected by a staircase, which represented the 18 months of the Mayan Calendar. As well, they placed flat, stone pillars in front of the pyramids, carved with the faces of important Gods, which were used as an offering place. One of the most important Gods being Tlaloc, the God of rain. 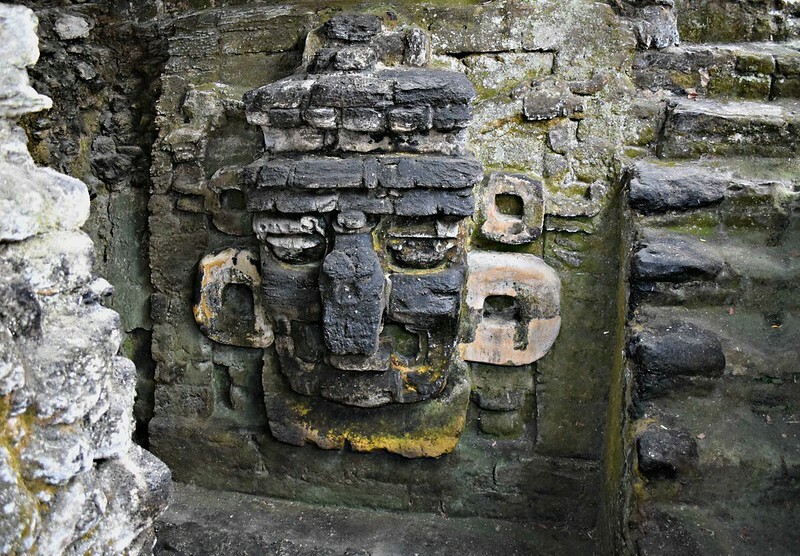 What I found interesting is that the Mayans here were actually controlled by the inhabitants of Teotihuacan, a powerful pre-Colombian city, located in central Mexico. 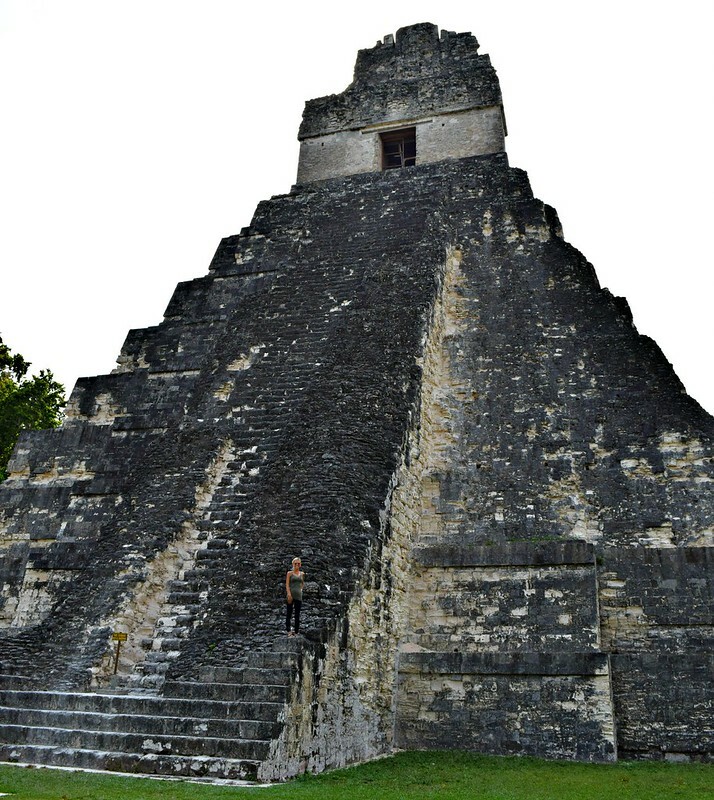 What I found ironic is that the pyramids which make Tikal so impressive, are actually the reason for the Mayan’s decline. 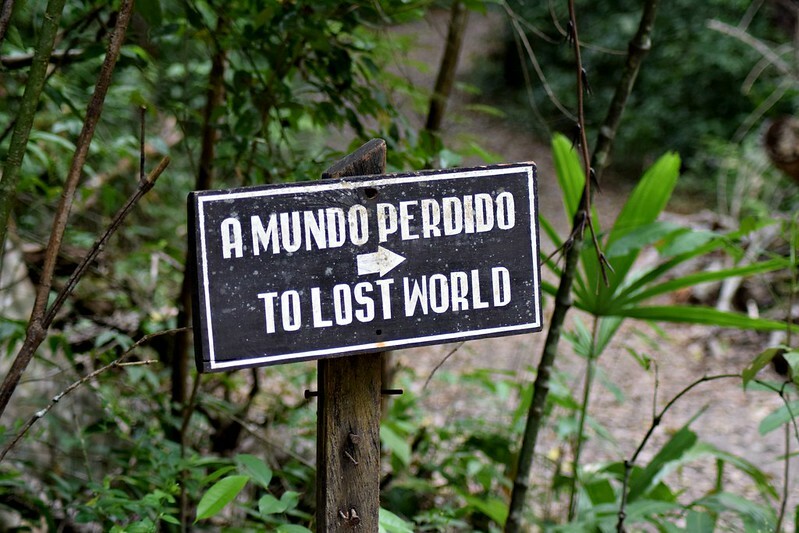 In 900 A.D., after years spent destroying forests for the purpose of temple-building, this land began to suffer from deforestation and topsoil erosion. 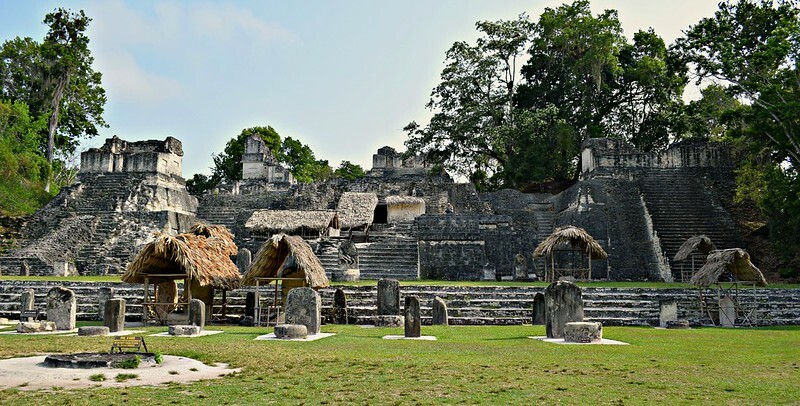 The Mayan’s crops were no longer growing, and the people were forced to abandon Tikal, fleeing to the highlands of Guatemala, where some still live to this day. 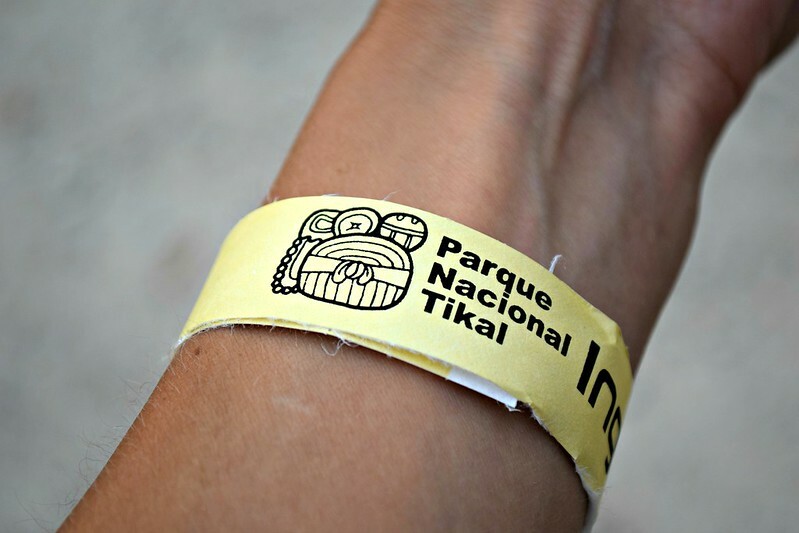 Anyway, as a visitor, I chose to take a guided tour of Tikal. I made base camp in the neighboring city of Flores, where I ended up booking a tour at Los Amigos Hostel for 14 USD, which included round-trip transportation and bilingual guide. 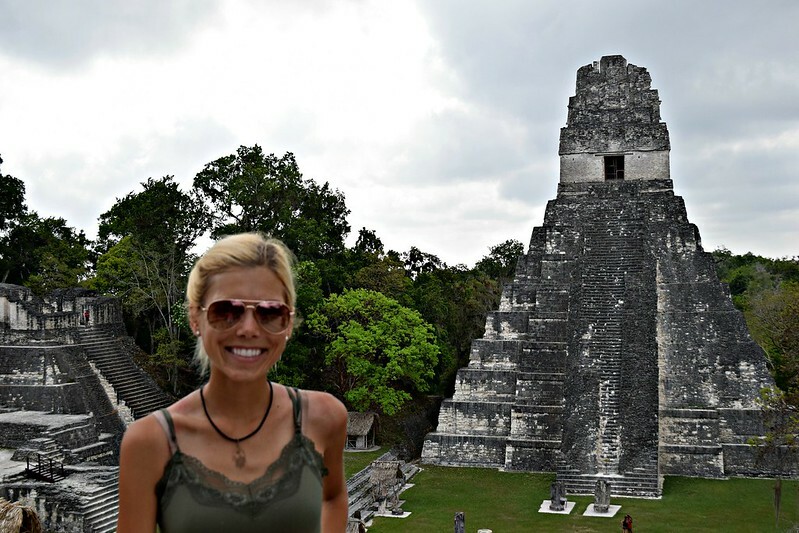 Side note: Your options when touring Tikal are either a sunrise tour, early bird tour, day tour, or sunset tour. 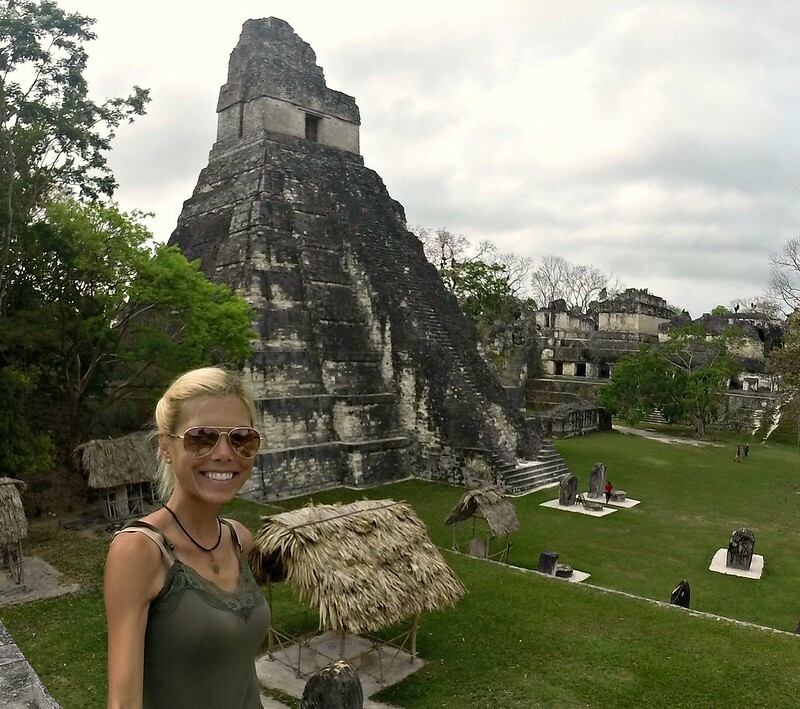 Now due to heat and humidity in Guatemala, I chose to do the early bird tour, where I would be visiting the ruins before the strongest sun of the day. The tour picked me up at my hostel at 4:30 AM, and we arrived when the park opened, at 6 AM, just in time to purchase our tickets (20 USD not included in tour price) and make our way to the entrance. My guide for the day was Llyod, a local Guatemalan who lives near this site. He began our tour by leading us on an unmarked path to a field of vintage vehicles. 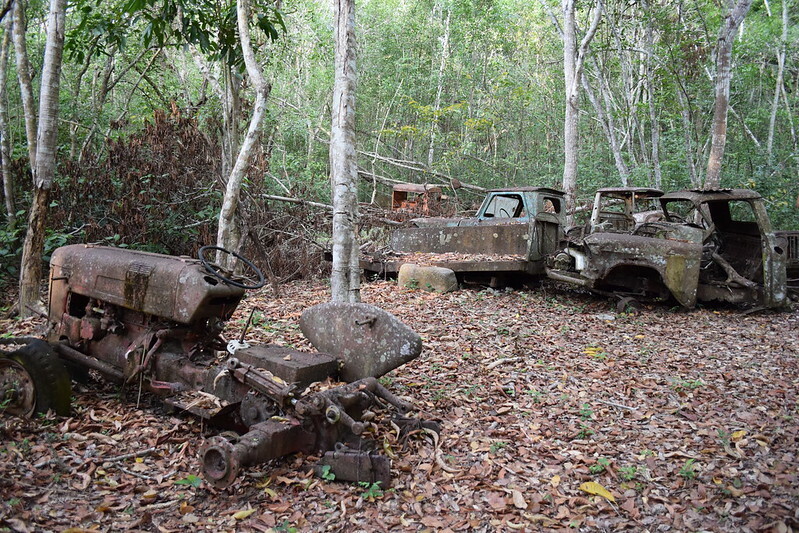 Apparently, when the excavation of Tikal began in the 1950’s by the University of Pennsylvania, they used these trucks and tractors to help uncover the ruins. Soon after, UNESCO declared that all work must be done by hand, in order to avoid damaging the site, so the vehicles were abandoned. Next Lloyd took us to the east pyramid at complex Q. 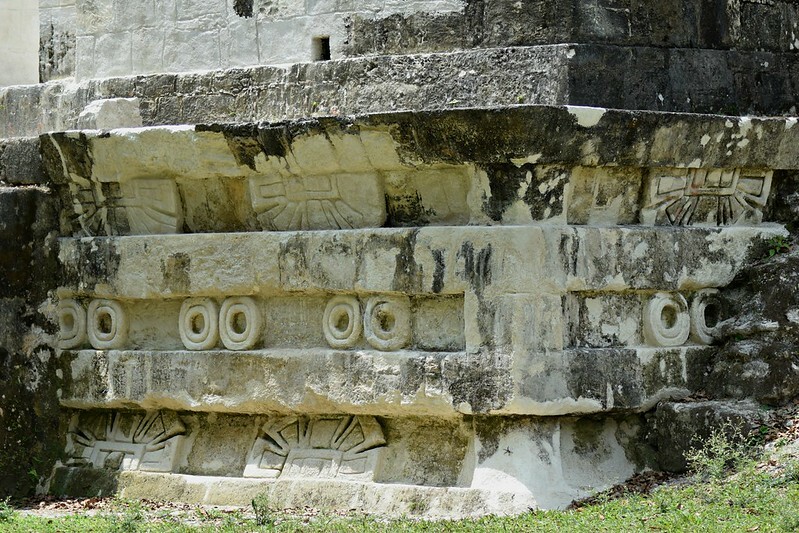 He told us that many of the excavated ruins in Tikal are reconstructed, while only a small portion are the original. He also told us how Tikal supposedly means, the mighty “City of Echoes,” which was obvious as soon as he began clapping. You could hear the noise echoing back. We also heard some other noises while at this temple. 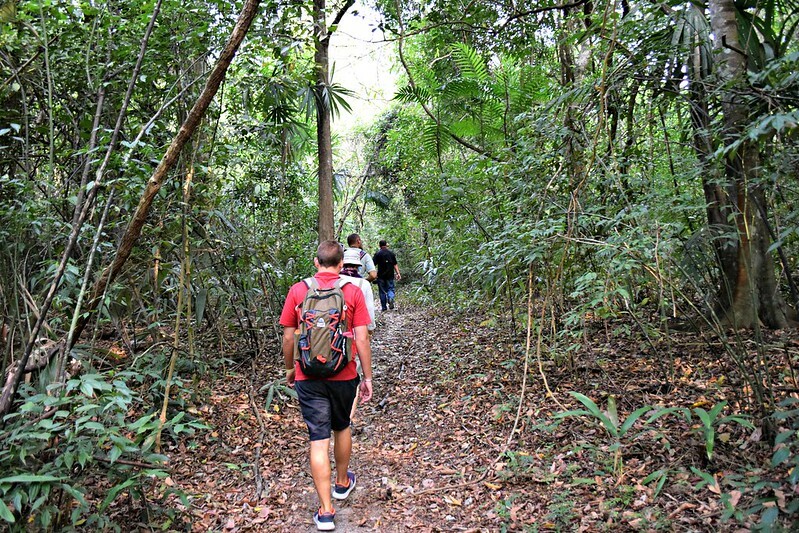 We spotted numerous squawking parrots, heard spider monkeys rustling in the trees, and also howler monkeys screeching in the distance. 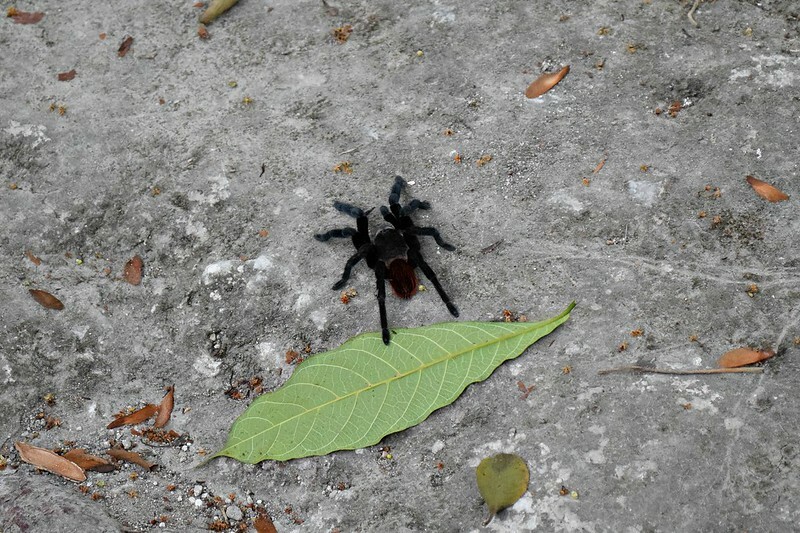 Here’s a short video of the wildlife noises in Tikal. 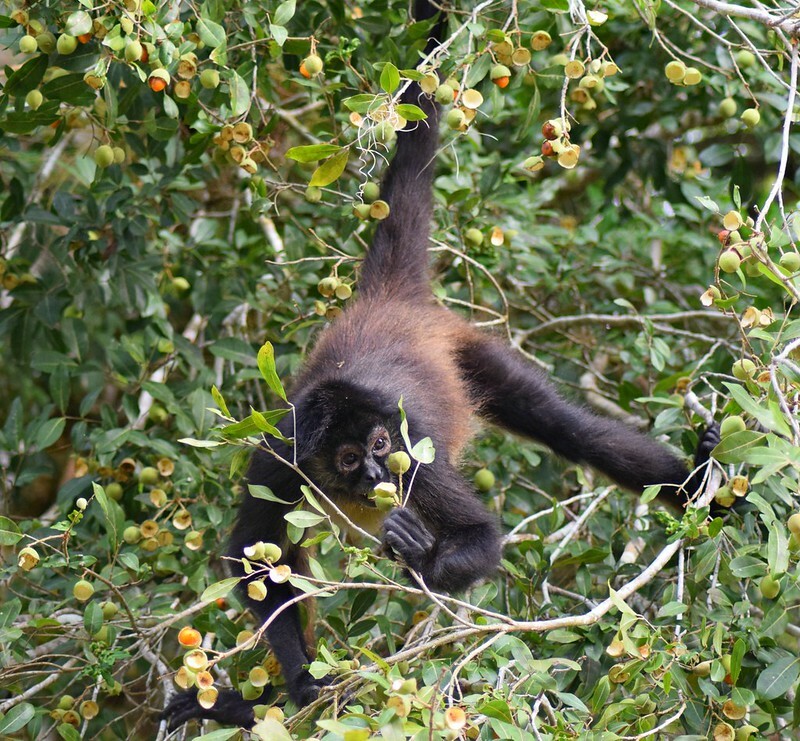 The howler monkeys sound almost like dinosaurs! From there we made our way to the most famous pyramid complex, home to Temple I and II, the most beautifully restored ruins in Tikal. 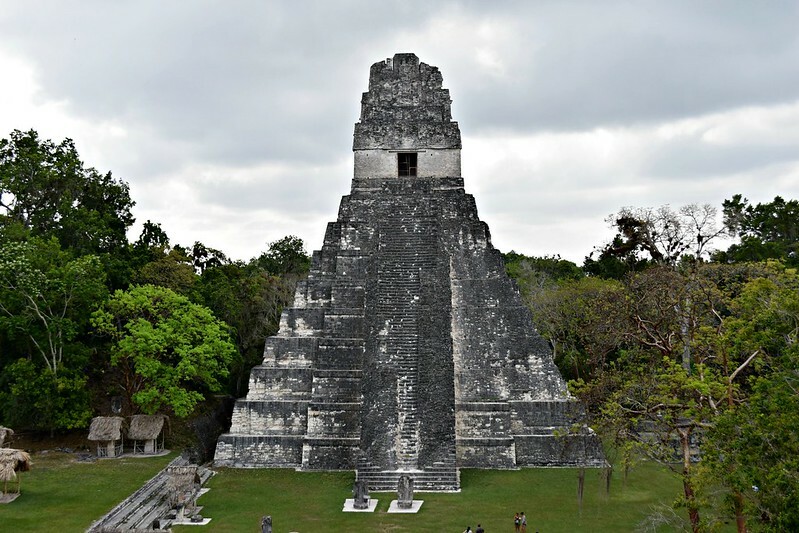 Temple I is the jaguar temple, and was the burial ground of Tikal’s most famous ruler, Lord Chocolate. Just see if you can spot me standing on this massive wonder! 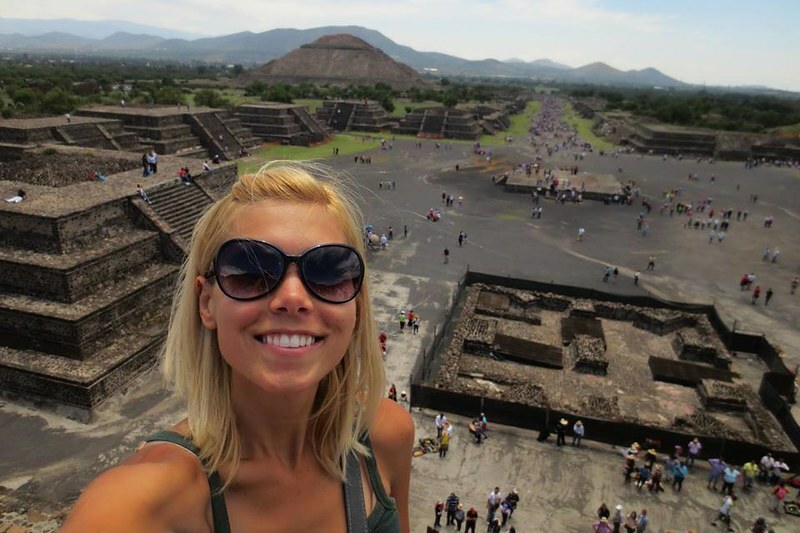 As well, from Temple II, the Temple of Masks, you have beautiful vistas of the pyramid complex, where you can see the numerous burial grounds, as well as, protected stone pillars, covered with thatched a roof. 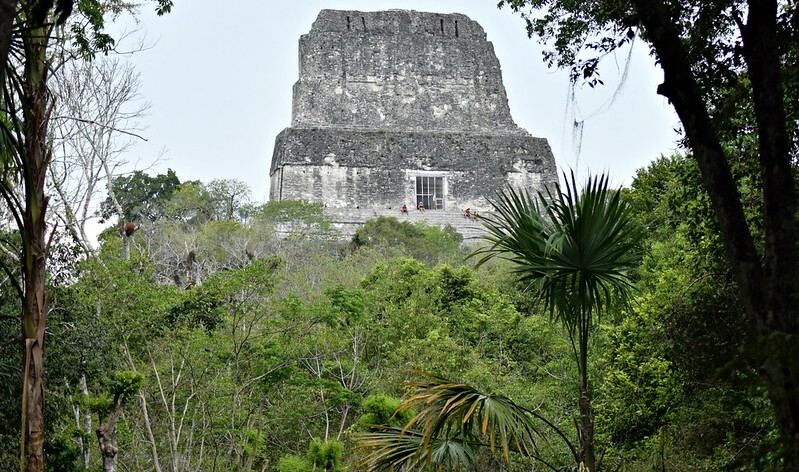 Aside from Temple I, visitors are able to climb all of the temples, where you can get an up-close-and-personal look at the beautiful Mayan carvings. What I liked is how the higher temples offered a spiral staircase, which was much easier to climb, and is less damaging to the temple facade. 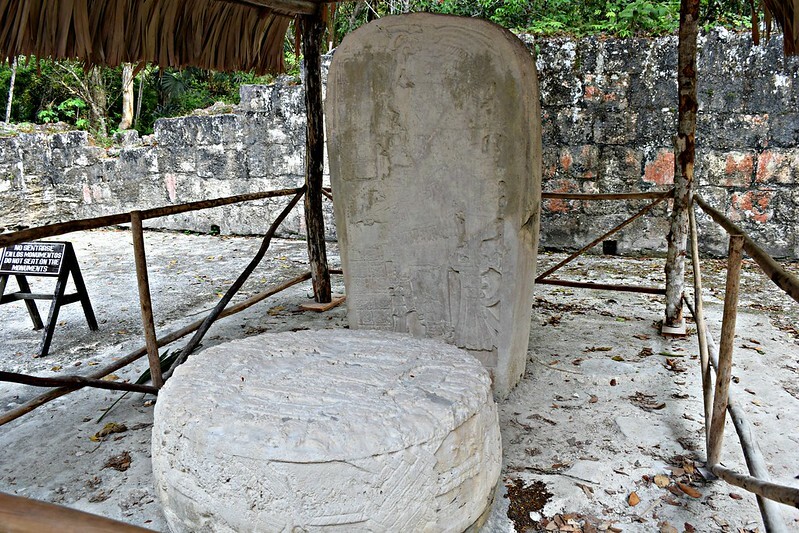 While we were at the site, we even saw of group of Mayans, that had gathered to bring an offering to the temple in the name of their ancestors. They can be seen here carrying burning incense, which is used as a way to better connect them with the Gods from above. 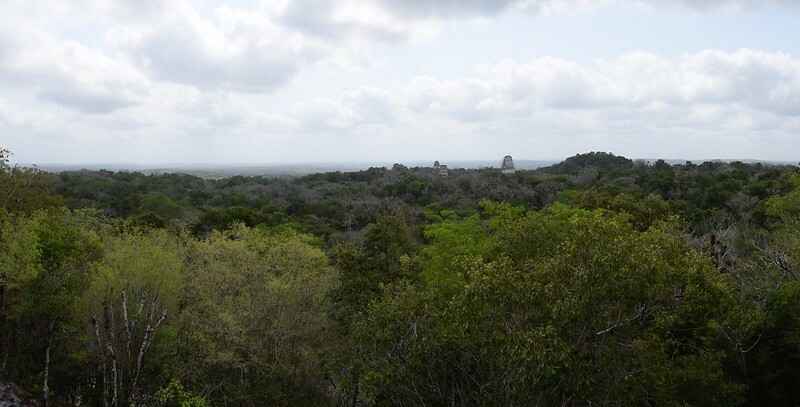 Anyway, we ended the tour about 3.5 hours later, with the visit to the top of Temple IV, the highest ruin in Tikal. 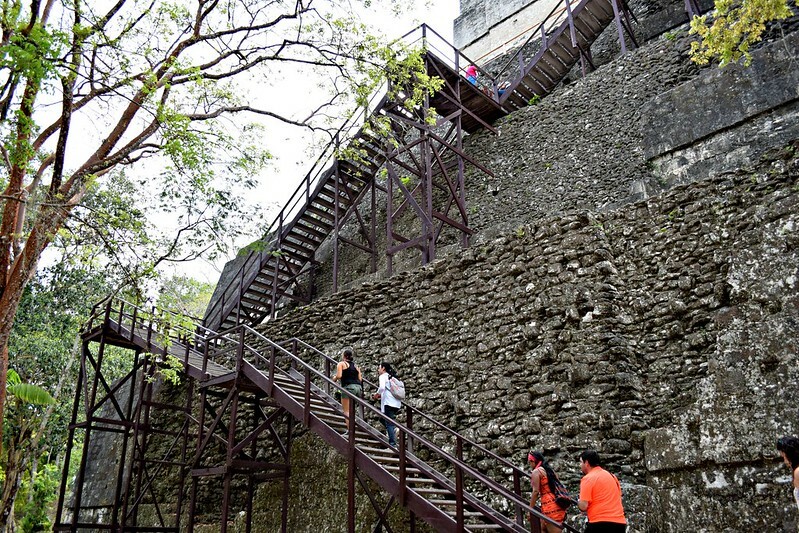 From there, we were able to explore other ruins in Tikal at our leisure, and had the option of taking a shuttle back to Flores at either 11, 12:30 or 3 P.M. 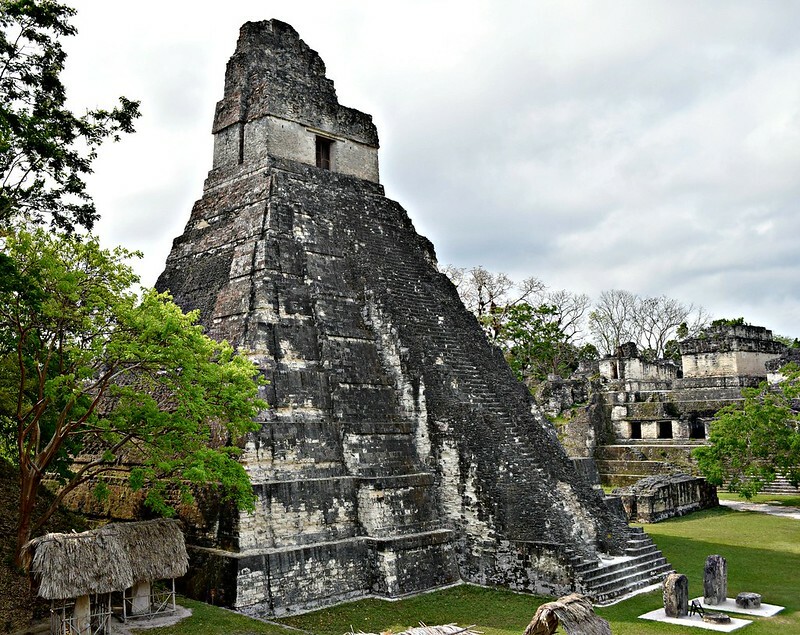 Plenty of time to explore the various residential ruins and ceremonial temples of Tikal. 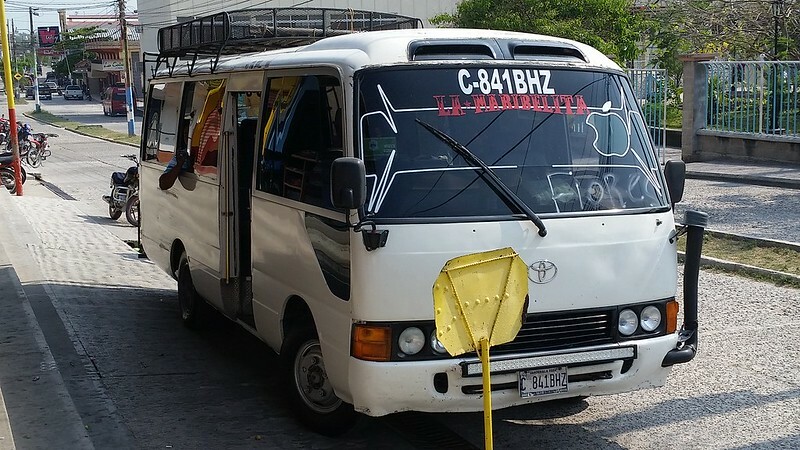 To get from San Ignacio, Belize to Flores, Guatemala, I first took a shuttle (1 USD)to the border town of Benque Viejo del Carmen. 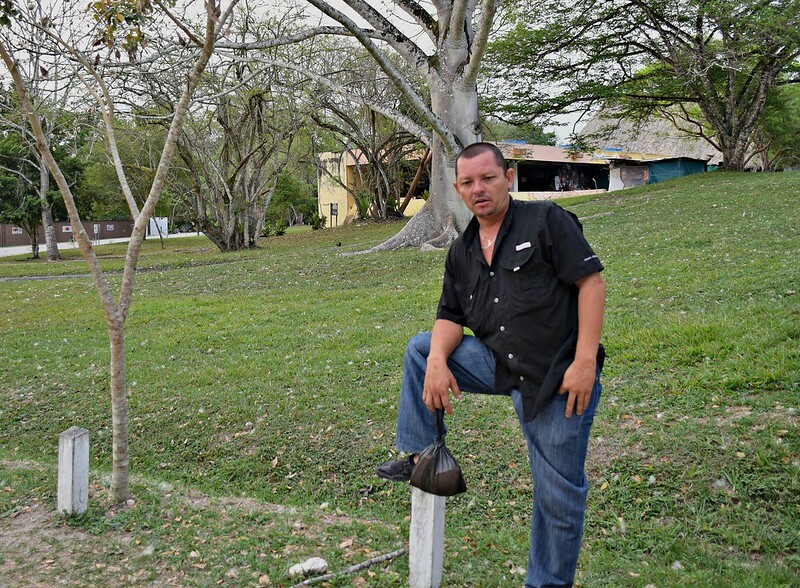 I then proceeded to walk to the Belize immigration office (30-minutes), where I paid an exit fee of 20 USD. 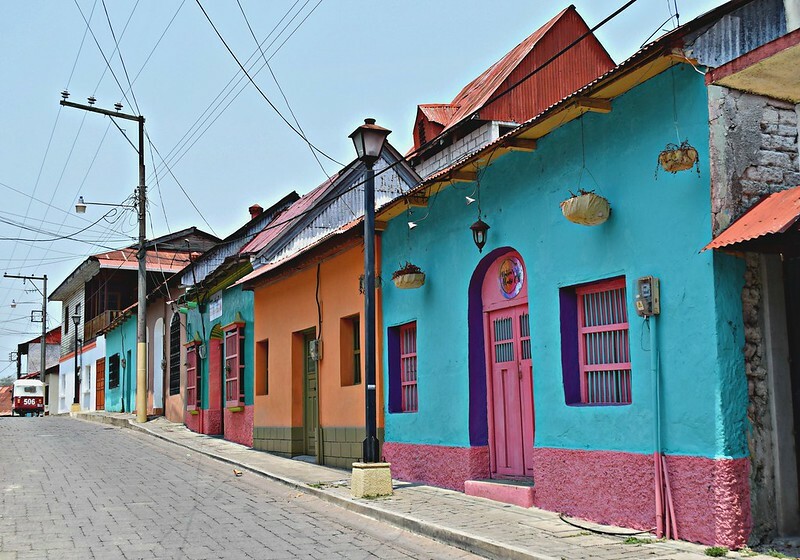 From there I walked to the Guatemalan immigration office, where I got a passport stamp which enables me to travel for 90 days in the four countries of Honduras, Guatemala, Nicaragua, and El Salvador. Lastly, I caught a small shuttle van to Flores for 4 USD. Side note on currency exchange: The currency in Guatemala is Quetzales. The options for money exchange at the border are slim. 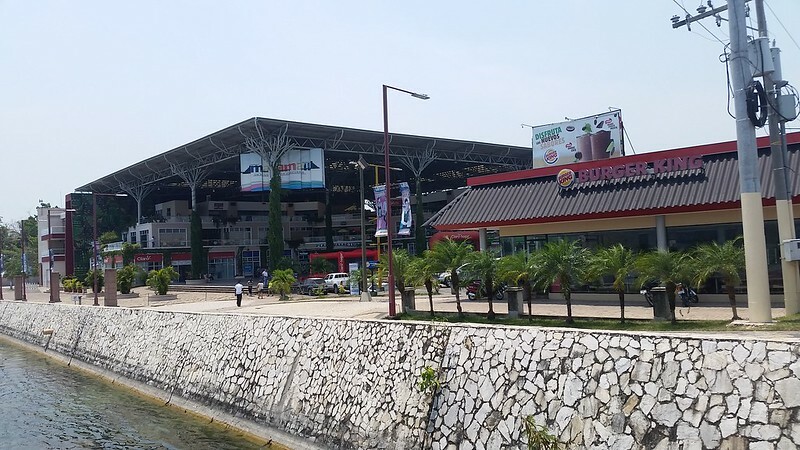 I was able to exchange a small amount with a man on the street corner (kinda sketch), just enough to get me to Flores, before I could exchange a larger amount at the bank. 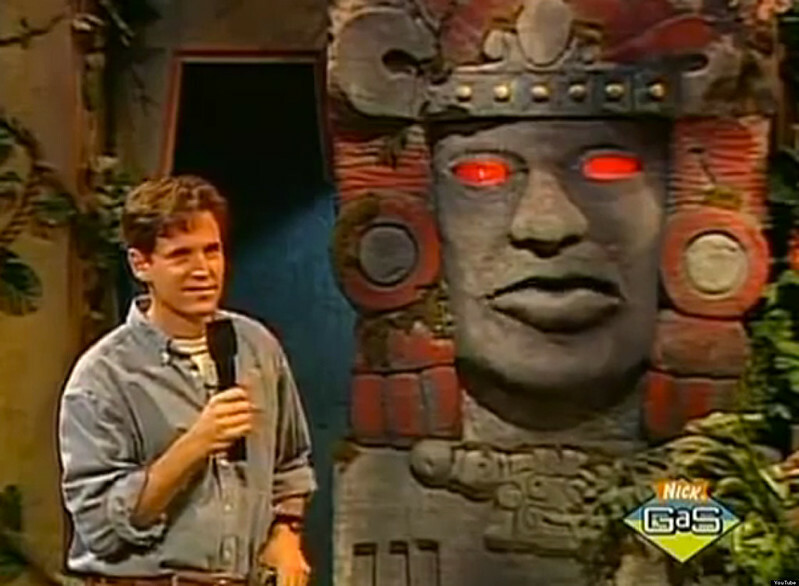 LEGENDS OF THE HIDDEN TEMPLE! YESSSSS! Wow! 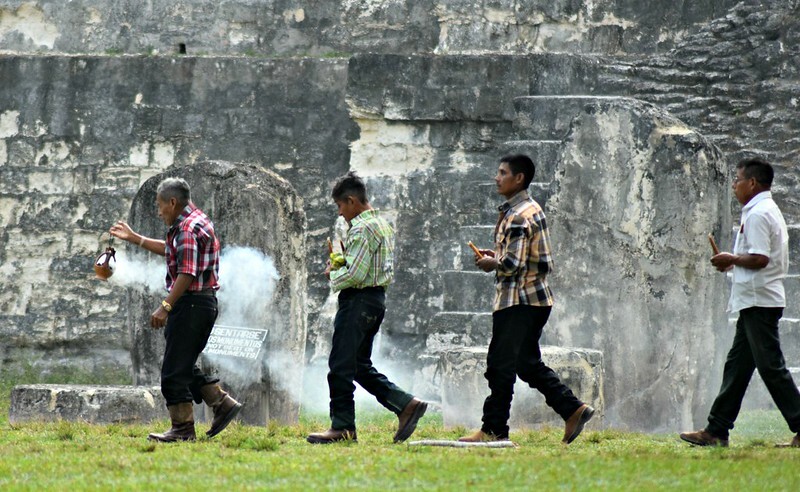 The Mayan burn incense to link with their ancestors too? Looks familiar to Asian traditions! So so beautiful! You got some great shots!! Love!